Combining various colours and textures throughout your home can seem tricky at first but don’t be intimidated. To avoid creating a space that screams “cluttered chaos”, keep these tips in mind and achieve a cohesive look. These Chelsea tubs, two seater and Salsa Stool have each been upholstered in different colours and textures but work well together in the same space. Without variation in texture, a room runs the risk of looking flat and boring. Bring your space to life by combining different textures in the form of fabrics, plants, rugs, and art. One of the easiest ways to create visual depth is by implementing contrasting texture in your furniture. An example of this would be a leather sofa accessorised with embroidered scatter cushions or an ash wood dining room chair with a seat upholstered in a cotton blend fabric. Another great way of adding texture with furniture is to mix intricate antique pieces with newer, sleeker designs. 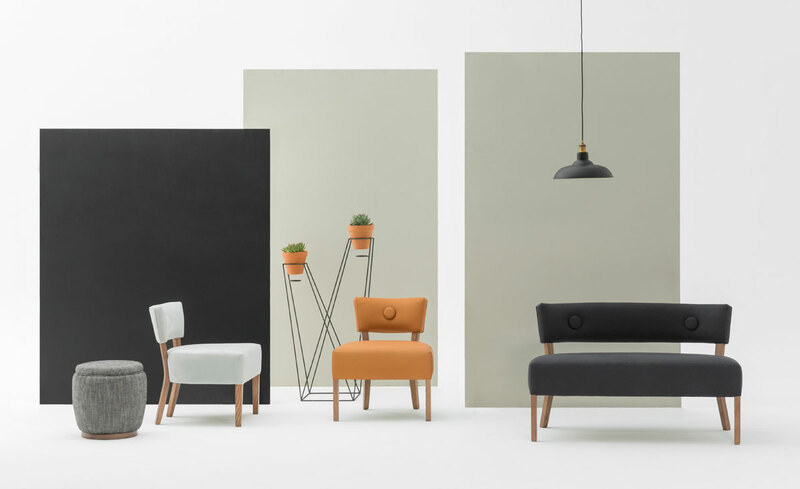 Woodbender makes combining colours and texture easy – we have an array of 15 timber finishes and allow our clients to specify a fabric of their choice, resulting in customised pieces specific to your space. 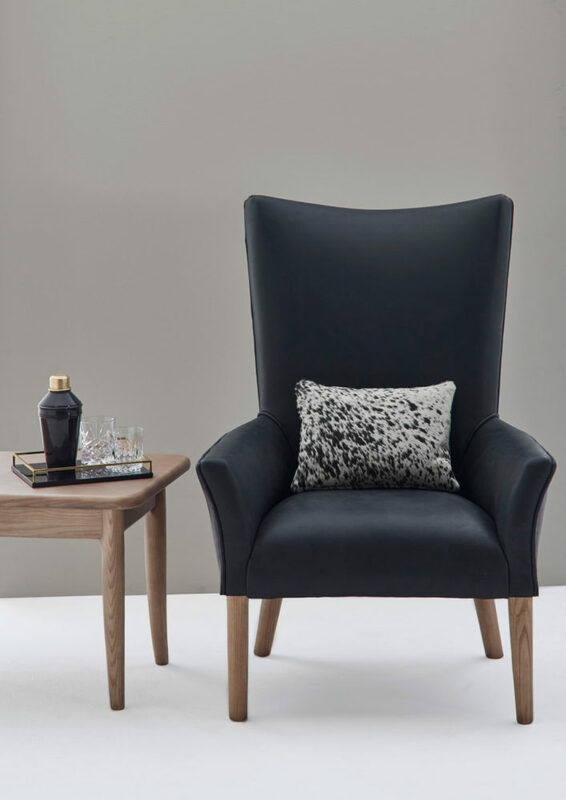 This Oslo covered in black leather is perfectly complimented in both texture and colour by the Nguni hide cushion. 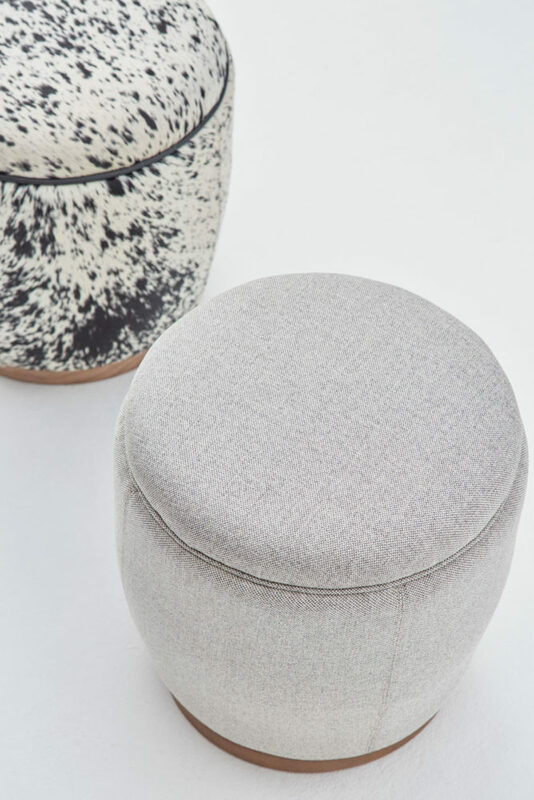 The Salsa Stool in Nguni pairs well with another salsa stool cover in pale grey textured fabric.